May was a month for me that just flew by! Yes, quite literally. And it ended on such a crazy note that I myself can’t believe what happened. Life always has its own ways of throwing things our way; things that we think would never happen to us. So, when they such things happen, we can be reeling under it's after effects for days. The challenge is to accept the things as they are and that can be the most difficult thing; easier said than done. No regrets whatsoever, because I think if I were to pass through the same circumstances again, for the first time, I would do the same thing, again. But, will I let that happen again? I won’t comment there, because as I said life can throw a googly anytime but I am better prepared now. At least I think so. May though fast, it was also memorable (or should I say unforgettable) one. While I may not seem to be all that appreciative of others, I know in my heart how thankful I am. And even if I try to put it all in words, I know my words will fail me. My way of handling things that I can't control is by distancing myself from it. That doesn't necessarily mean that someone did anything wrong or that I mean to hurt someone or be coldhearted. It is just that I would rather occupy myself with something else rather live in a dilemma. It's only sane to stop when you can see that there is a dead-end ahead. Making up your mind is one thing, convincing your heart is another deal. Everything in life happens for a reason. And my problem is that I try to find a reason for everything! On that note, let me begin my reflections on the month of May 2018. You might also like to check out my post Attitude of Gratitude - Looking Back at Jan to April 2018. A big focus point for me in May was health and fitness. Every single day of May I have either practised Yoga for an hour or went for an hour of brisk walking. It is an achievement for me to be that disciplined in this regard. At the beginning of this year, I had made a resolution list for 2018 (pretty old school, right?). Well, lists are what keep us going, isn’t it? If you go through that link, you will see that one of my main areas to focus on was health. While I did nothing substantial for the first 3 months, things took a turn for the better when I started Yoga under a trained instructor in April. While I do not want to be overenthusiastic yet about how I have benefitted from it, I can say that it has been the best decision I have made for myself in a long time. Few days into the yoga practice, I think my body clock changed and now I have absolutely no problem waking up in the morning (something I had been struggling with post-baby). Yoga is just not about making the body flexible, it is about harmonizing your mind and body. I can definitely say Yoga has made me more aware of myself. I hope it all continues in the months to come, after all, as the saying goes ‘and in the end, it’s not the years in your life that counts. It’s the life in your years’. Anyone who has been following my blog will know I have a thing for baking. Oh, I just love it. The whole process of baking is so therapeutic for me – almost a stress buster. The point I am making is that the baking frenzy of April continued in May. The only difference was this time people asked me to bake for them. Brownies, cakes, cupcakes – all came out of my oven and I can’t tell you how gratifying it was to see that people trusted me to make something special for their special day. I am truly humbled by the appreciative messages they sent me after. All I can say that it inspires me to do better. The little one is having a gala of a time at home with the preschools off for summer vacation. While I am having a truly trying time with him around me all the time (even with all the helps I have), every single day I feel so blessed to have him in our lives. Ever since he has started picking words, it has been fun teaching him things. I always have my mobile in my hands with him around and I keep making short videos which I play later ‘n’ number of times. I am making memories with him that I know will last a lifetime. I was happily engaged in blogging recipes in the first half of May. But, things weren’t great in the second half as I chickened out of a themed event I had wanted to be part of in the last week of May. All thanks to lack of planning on my part. But, I know I will do better this month. So, just watch out. Reading had been slow in May, even though I had been reading every day. For one thing, I know the book I am reading - ‘Shantaram’ by Gregory David Roberts needs to be read slowly. I think I will take up the whole of June to finish that fat book. I did re-read another fantastic book – The Devotion of Suspect X by Keigo Higashino. A brilliant crime novel – it’s not often that you can read a book of the crime genre twice and still enjoy every bit of it. Although I must add here that I read it for the first time almost 3 years back. June is surely going to be a happening month on the blog here. So, watch out for some new recipes and some long over-due book reviews. 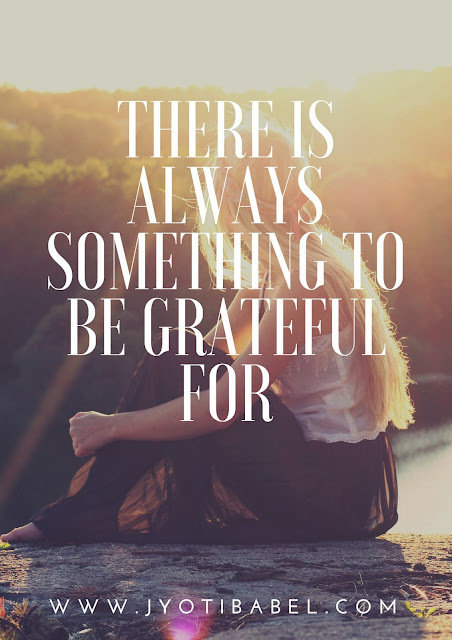 I am joining Vidya's Gratitude Circle for the Month of May. You can check it out too for a liberal dose of Gratitude. We have quite a lot in common. I feel yoga keeps me rejuvenated as well. Great to connect with you.